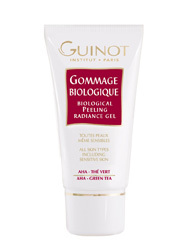 Guinot(c) 1.7 fl. oz. Exfoliating Gommage Grain D Eclat Gentle Exfoliating Cream.